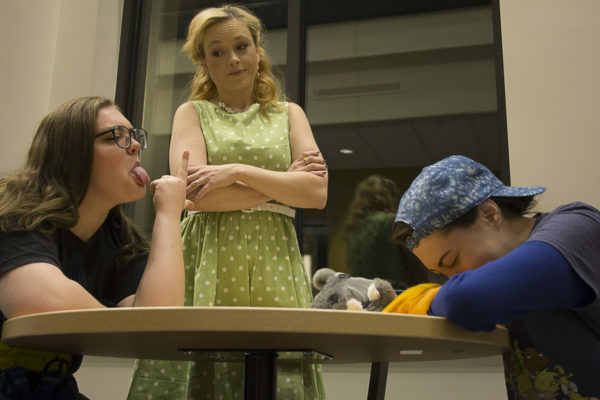 Mars Hill University’s Theatre Arts Department is honored to premiere Disney’s “Freaky Friday: A New Musical” both in North Carolina and as the first collegiate production. Performances are at 7:30 p.m. on Thursday through Saturday, February 21-23, 2019, with a 2:30 p.m. matinee on Sunday, February 24. Also included in the performance schedule is a school matinee February 21 at 12 p.m. The plot concerns an overworked mother and her teenage daughter who magically swap bodies, then have just one day to put things right again. It is a heartfelt, comedic, and unexpectedly emotional update on an American classic. By spending a day in each other’s shoes, characters Katherine and Ellie come to appreciate one another’s struggles, learn self-acceptance, and realize the immeasurable love and mutual respect that bond a mother and daughter. Tickets are $15 for adults, $8 for students with student identification, and free for Mars Hill University students and staff. Tickets may be purchased online at https://web.ovationtix.com/trs/pr/1005579. For more information, contact the box office at (828) 689-1389 or at boxoffice@mhu.edu. The next production from the Mars Hill University Theatre Arts Department will be “Jack Tale, The Appalachian Folk Tales,” including workshops with the famous self-taught Appalachian folk artist Charley Frye and tours to Western North Carolina schools.